Do you love sizzling romance with a dash of danger? Is action-adventure your cup of tea? Are heroes and heroines with super powers right up your alley? Well, dear reader, you’ll find all of those and more in my Romancing the Guardians series. If you have been meaning to read the first two books in this ongoing series, this is the time to do it. 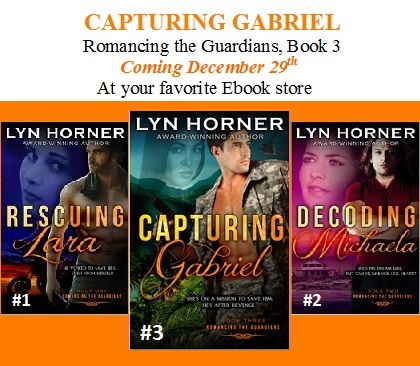 Because book three, Capturing Gabriel, will be out on December 29th — just in time to stuff your new Christmas Kindle or add to your trusty current device. To whet your appetite, here are blurbs for all three books. Lara Spenser is running for her life. She guards a treasured relic that her ruthless enemies the “Hellhounds” want to steal. 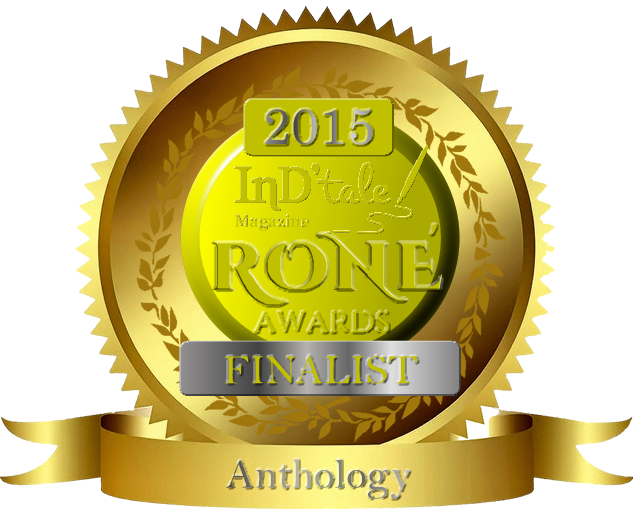 While taking refuge in Ireland, her unique sixth sense warns her the evil ones are closing in. Injured in a car wreck that killed her beloved uncle, she desperately needs a bodyguard. Enter Connor O’Shea, ex-Special Forces soldier on leave after a tragic accident on his gas well firefighting job. Upon meeting Lara, his protective instinct compels him to defend her until she finds a permanent bodyguard. Romance soon blooms, but while he may keep Lara safe, can Conn rescue her from deep emotional wounds that hold her prisoner? Will she learn to love again and fulfill her destiny as High Guardian of apocalyptic secrets? Chopper pilot Josie Tseda has vowed to find Gabriel Valdez, a Guardian of Danu, and bring him to meet with the other Guardians. Locating him in the mountains of Colombia and convincing him to fly back to the U.S. with her proves a challenge. As their mutual attraction heats up, will her mission stand between them? Waging a battle against drug traffickers in his country, Gabriel also seeks revenge upon a man he hates. He’s not looking for romance and doesn’t trust the feisty American female who invades his life. The urgent message she brings, supposedly from the High Guardian, may be a lie intended to ensnare him. Yet, he can’t help wanting her. Will he allow her to capture his heart or will the secret power he wields ultimately drive her away?